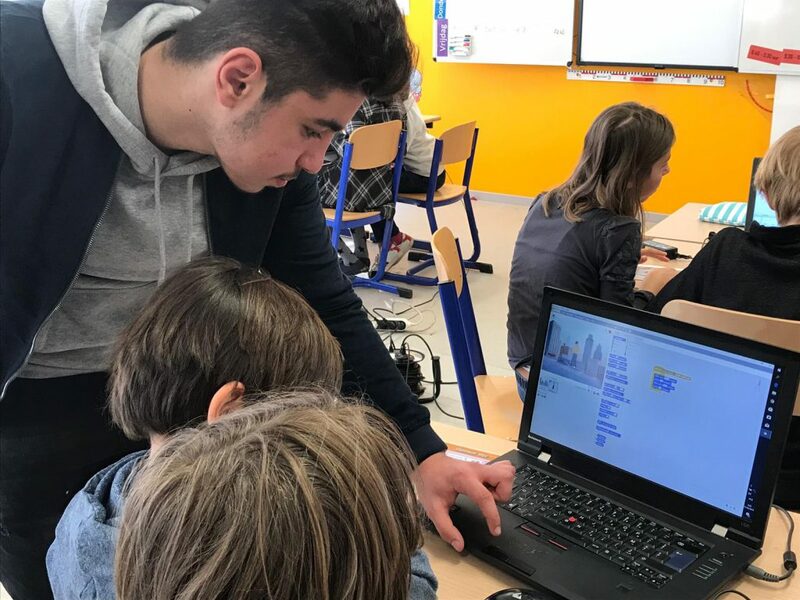 As part of the CODINC project, in Belgium, Italy, Cyprus, Spain and Germany secondary schools’ students and teachers are trained on the basics of coding. After that they will conduct training with primary schools’ children. The CODINC project – Coding for Inclusion aims to promote science, technology, engineering and mathematics (STEM) education of disadvantaged youth through an inclusive educational approach based on a peer-learning methodology for formal and non-formal education. The piloting activities are now ongoing in each partner country and the first piloting phase with secondary schools’ students and teachers is almost over. In Germany, 21 Century Competence Centre (21CCC) involved two secondary schools and split the training in two cities: Leipzig and Berlin. Julia, one of the trainers, said that the students were very motivated as well as the teachers: “The only information they had was that they would have made their own computer game. They worked 4 days and 4 hours per day. Many of them didn’t have previous experience, but they understood straight away the commands”. In Leipzig, the project has already be carried out in both schools. The students did a good job and most of them would like to do the workshop again. 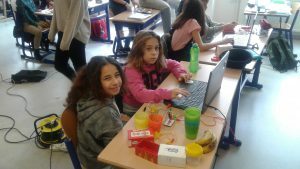 In Cyprus, after a quite long delay to get the project approved by the Ministry, Cyprus Computer Society (CCS) have finalised the pilot with secondary schools and they are ready to start the one with primary school in the first half of April. They plan to finish it by the end of the month. Overall, the training went very well. Also in Italy, the University of Naples (UNINA) finished the secondary school’s pilot. They involved four classes (two second and two first classes) of about 24 students each, mainly girls. They are now starting the pilot with primary schools. They have involved 65 kids distributed in 4 classes. Here the organisation has been a bit complicated due to the lack of ICT facilities in schools, but they are managing it quite well. Davide, our project partner, reports: “two primary schools’ classes are quite difficult but secondary schools’ students know very well how to deal with this kind of problem”. “Students understand the aim and the relevance of the project and they are very motivated”, says Pep, the trainer from COLECTIC, in Spain. They have 3 different groups of secondary schools, but they are working a bit slower than the rest since they have an agreement with the schools according to which they can work one hour of training per week. They plan to start with primary schools after Ester and finish just before the partners meeting in Cyprus which will take place at the end of May. 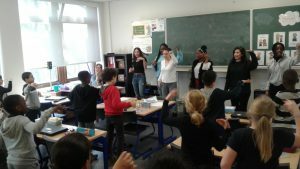 In Belgium, Maks have already started to work with primary schools. “Students were really excited, and teachers were also involved”, explains the trainer Bavo. They held one of the sessions during a music class and it was fun to see how coding and music could be merged together. After the first phase of the CODINC piloting activities and after receiving feedback from our partners, we can say that the project effectively helps young people develop their critical thinking, creativity, digital and collaborative skills and scientific capital. Most importantly, the peer learning pedagogical method has a high potential for inclusion and promotes STEM education and the inclusion of disadvantaged students inside and outside the classroom.